my usual measure is 250gr Pasta, 2 yolks, one whole egg, might work even better with two yolks and two whole eggs. key is adding the pasta as hot from the cooking water as possible to the egg/cheese mix. 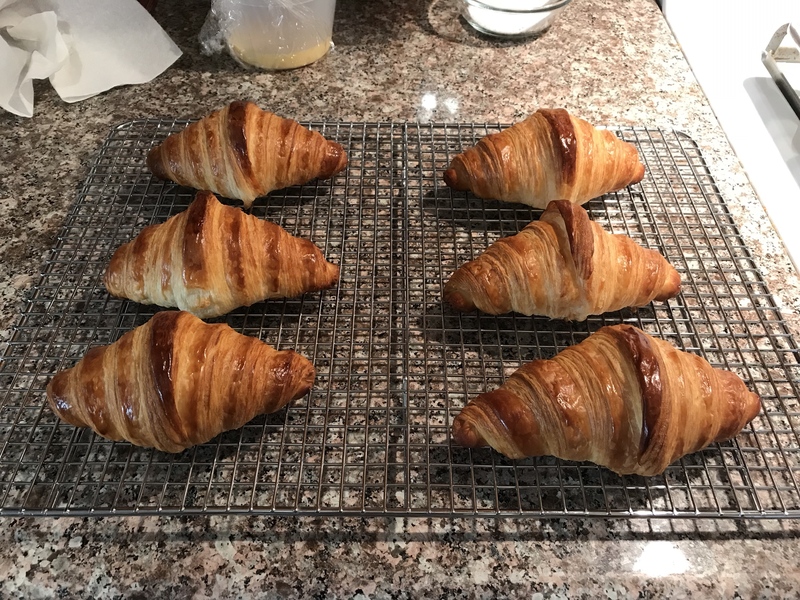 Gave up on making croissants because I had a hard time resisting the urge to eat all that I baked. 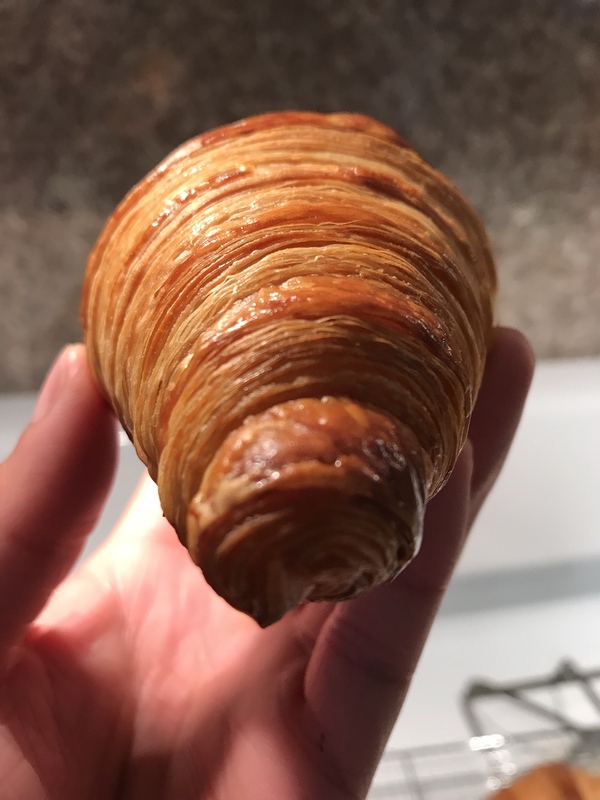 But I still have a croissant ideal that I've yet to reach, so back at it again. 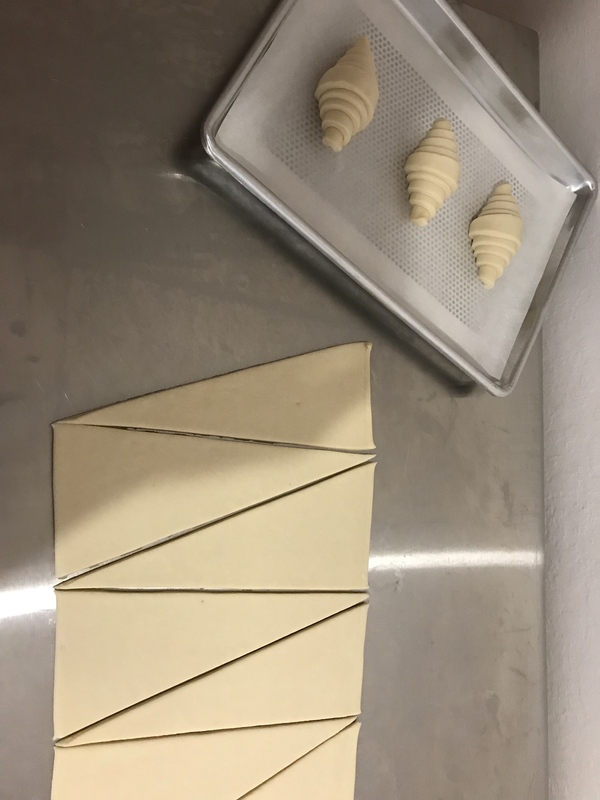 For those familiar with making croissants, I did two double (book) turns. Straight dough, no preferments only because I wanted to get back into the rhythm of making these calorie bombs. For my next batch, I'll do an overnight retard in the refrigerator for more complex flavor by way fermentation. 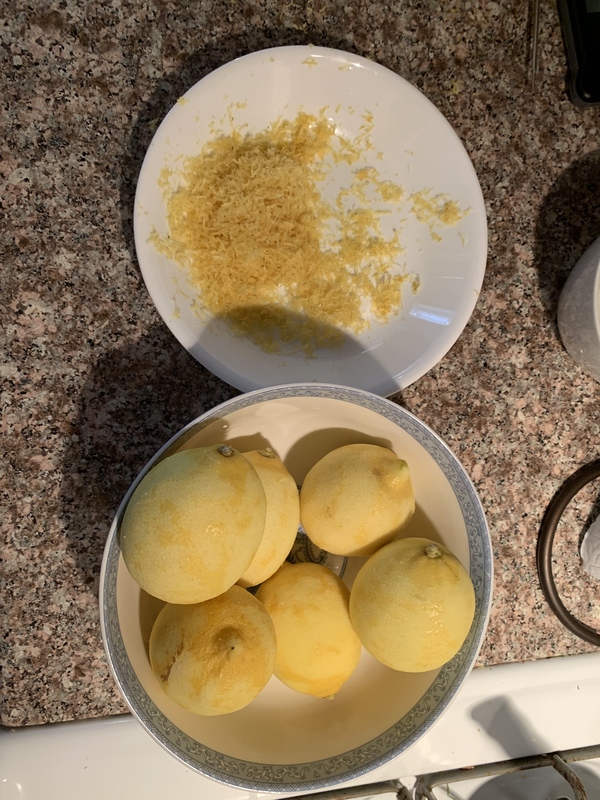 For my next batch, I will also use more salt and maybe more sugar. The one with milk were slightly shinier, but its sort of hard to tell. Jesus, dude, your honeycomb interior is outstanding. Major respect to doing the real deal entirely by hand! I came to hate making them after my last job but they're still one of my favorite things to eat. 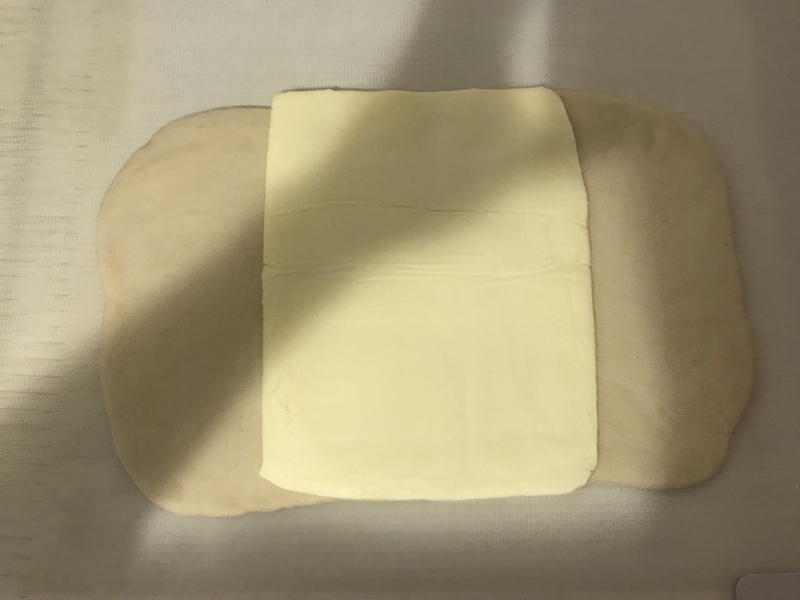 I also use ice blankets to quickly cool down the dough if i'm taking too long to roll it out and I'm afraid the butter is going to melt into the dough. Those are seriously impressive. Wife and I oohing and aahing over your pics, nice work. Forgot to resub to this thread! Having some guests over tomorrow. Cooking some spinach+paneer and some ground goat. Does anyone here use a baking stone? What's your experience with them? If you have a brand you can recommend, lemme know! I plan to use it for making bread. I want to try making baguettes at home, and one method I've heard used for a home oven is to bake it on top of a baking stone, covered with a fish poaching pot (to hold in steam). They turned out rather well! Very thick consistency (how I like them) but I think the recipe is flexible enough with the egg yolks and the evaporated milk choice that one should be able to get their desired consistency. My inexperience with the caramel showed... I burnt it a little bit but I liked the slight bitterness as a contrast. Not everyone was a fan of that though. Looks good! One of my favorite ice creams, Jeni’s sated caramel, also has a slight bitter finish which I like. Ooh, glad to have found this thread. Didn't know we had one. working on my first sourdough today. Looking good, Andy. Good luck Chitown. I've been crunching so haven't really hard time to bake or do anything, can't wait to have some time to unwind, make some pasta from scratch. Its been an eternity since I’ve posted any culinary updates I realized! I was pastry sous chef for the last year but as of yesterday, I’ve officially accepted the position of pastry assistant at a two michelin star restaurant. You make me proud! Congratulations and best of success for the new challenge! You guys are the sweetest. Thank you so much!! Its going to be insanely hard but I look forward to the challenge. Took me two hours to cook, which is not that bad considering I've made everything from scratch. And it turned out really good. In case you wonder, greuil is the name given around here to some kind of fresh cheese made from whey (same-ish to what they call brousse in Provence, or brocciu in Corsica). Finally bought a wok to try out some stir fries. Have usually avoided it in the past because of horrible exhaust situation in my apartment. Took the chance to re-season my cast iron pan at the same time. 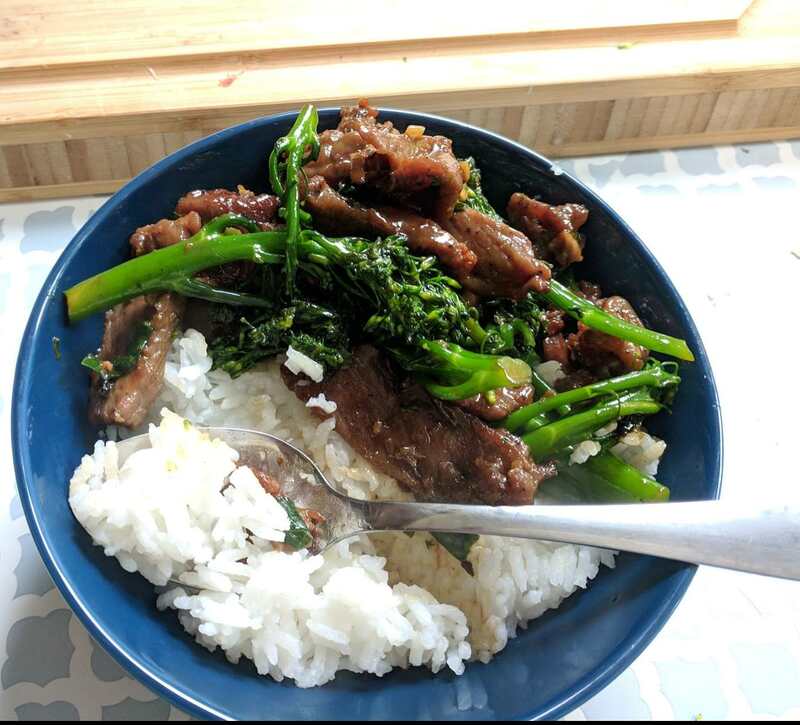 Started with a basic beef/broccoli stir fry. I am on an electric stove. So I used the boiling water method that the wok manufacturer suggested. Filled it almost to the brim with water and left it on boil for 5-10 minutes. Then scrubbed it with some tongs and a steel scrubber. Hmmm... I’ll give that a try! I've never heard of that method before. Wish I'd known about it. Burning off the coating is the most inconvenient aspect of owning a new wok. I had to do it outside using an induction cooktop because my kitchen range hood wouldn't have been powerful enough to clear out the black smoke. 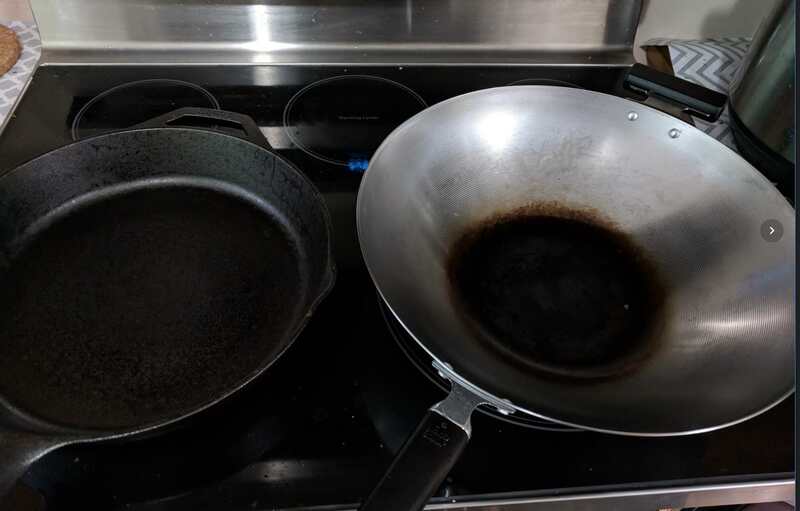 Next time if I need a new wok, I'm going to do what my friend did: visit a nearby Chinese restaurant and ask if I can buy one of their used woks lol. I think the grated on my top are too high. I haven’t tried removing the little plate that spreads the flame though. Does anybody know of a good riser(?) to rest it on? The one we have is too short when taking off the grates, though again, haven’t tried taking off the flame spreader. Taking it to a restaurant is the best bet if you have that option. But have you tried covering the top of the wok with aluminum foil to keep in the heat. Maybe that will help with bringing it to a boil? But if the problem is not fixed, cooking on it would also be a problem right? Zoe - Do all four of your burners have the same heating power? I tried it on the biggest burner. I'm hoping going without the spreader will solve that problem. Yeah. Without the high heat, you won’t achieve that smokiness, “wok hei”, in dishes like fried rice. Made some butter chicken. Has about a 100,000 calories in it but it tastes so good. Made some twice cooked pork! Tastes pretty good but the belly is a little tougher than I like. I halved this recipe I was following (1lb meat to 1/2 lb ) but didn't cut down on the time for boiling. Would that be the cause of the problem or did I mess up elsewhere? been making sourdough lately. Really interesting process. And delicious :) Made my own starter from flour and water. 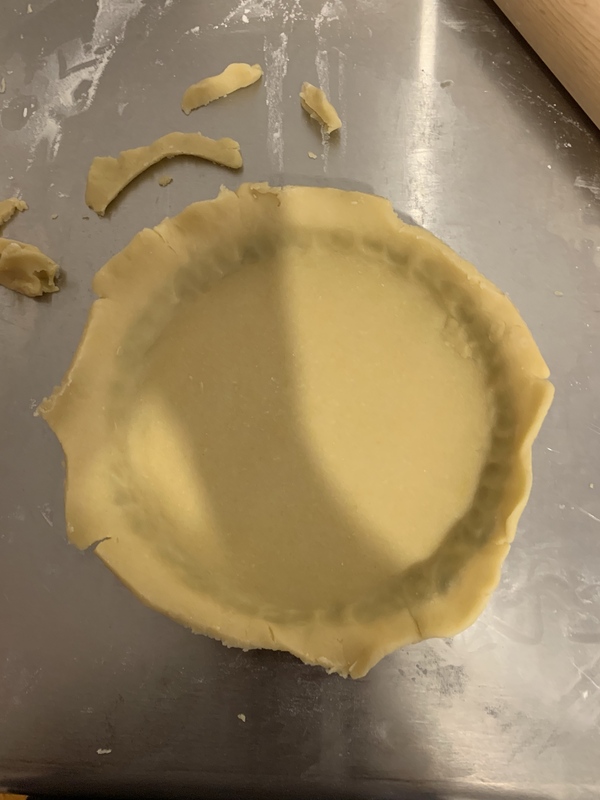 Made my first ever tart. 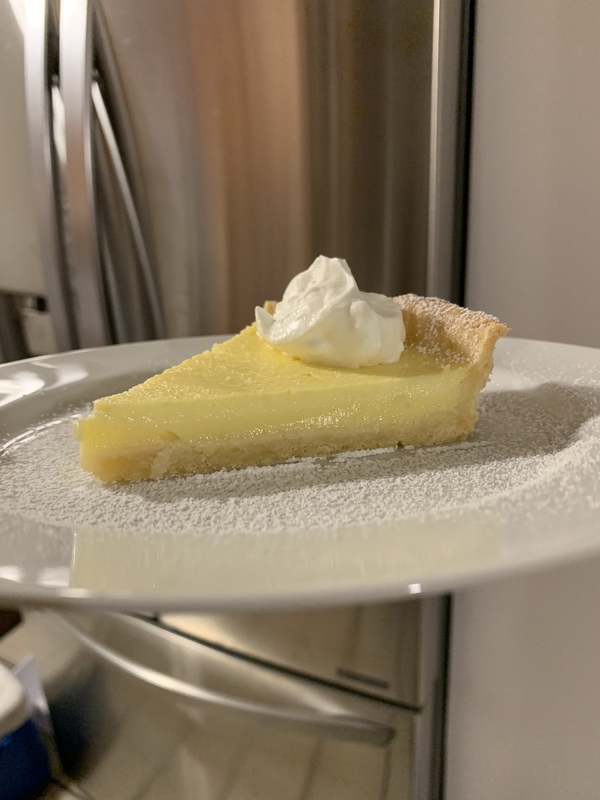 I've tried store bought lemon tarts my entire life but was never completely satisfied with the sharpness. 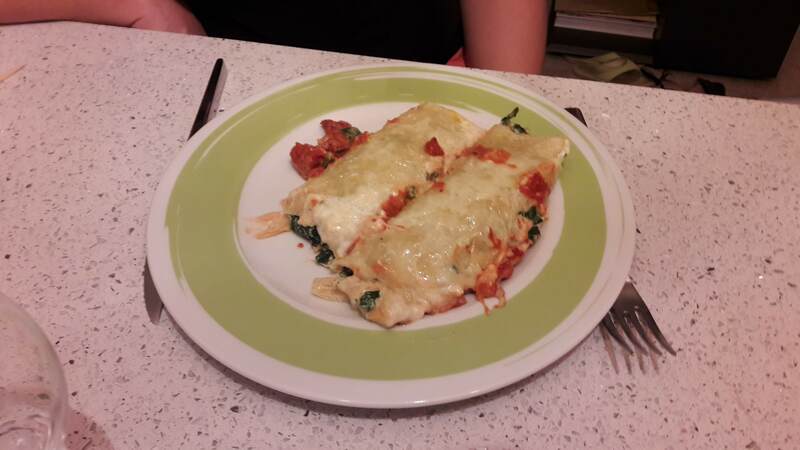 So I made my own using this recipe from Sorted. But I used a THIRD of the sugar they asked for. It tasted fine to me in its raw form, but I didn't factor water evaporation into it. 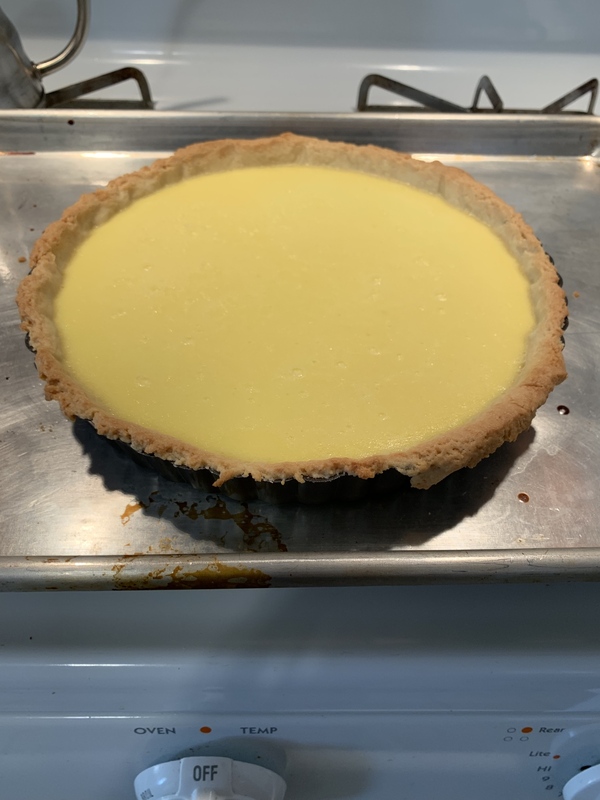 So after baking it's VERY SHARP, VERY TART. Lemon lovers who like sharpness will love it. I like it a lot, but next time I'll add like 20 g more sugar. 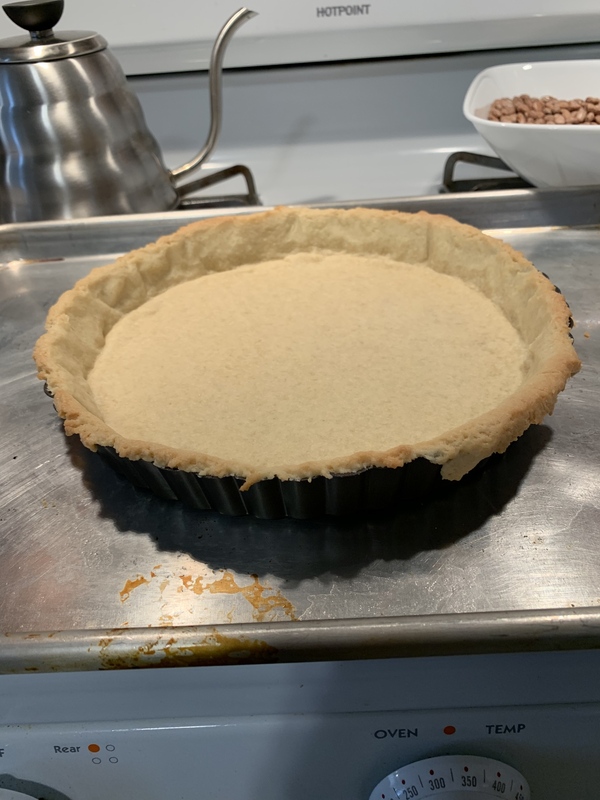 But you know what, when I dusted it with confectioner sugar and topped it with a dollop of very slightly sweetened whip cream (freshly made from the left over double cream I had), it's almost perfect. 1. 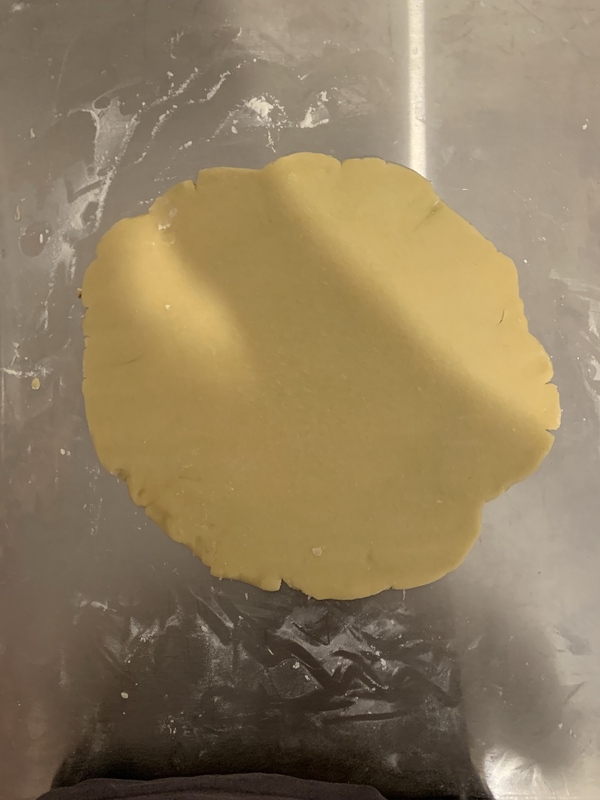 The bottom of the short crust dough wasn't crispy enough. 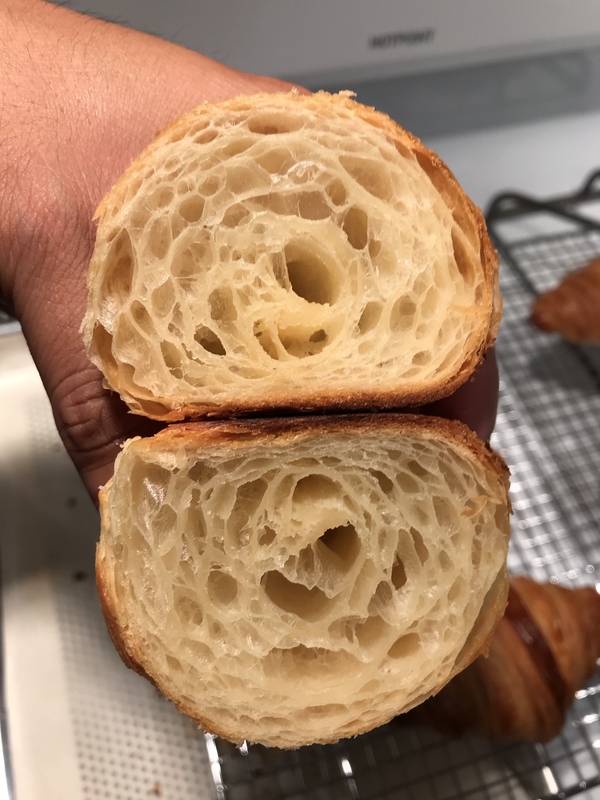 Bake it longer next time. 2. Tap out all the bubbles from the mix before pouring it in. All those bubbles bug me. 3. Cook for less time. The surface cracked, so I assume I cooked it for too long. But the texture was very good. I love sour desserts. I'm going to practice this a few more times to nail down my own version of the recipe, and maybe make it for Thanksgiving. Hey there IronEra, been meaning to post here more often as I get more and more into cooking. Wondering if anyone's got some rice tips that elevate the rice game. I've always felt mind ends up pretty bland. Also any cooking youtube channel recommendations? When I'm hungry at night I like to just climb into that hole of "I wish I could make that...."
Wondering if anyone's got some rice tips that elevate the rice game. I've always felt mind ends up pretty bland. Are you cooking a fried rice or a stir fry or a risotto or? When I was in college I would cook up a pot of medium grain Japanese rice, mix in a little tahini and salt, and just eat it. Mmm. Close to the end, you can also add some more stuff, like meat or vegetables (I usually make mine with bell peppers and chorizo or chicken left-overs). For those of you who frequently eat with chopsticks, what kind of reusable chopsticks would you recommend? I like to keep disposable sets on hand in case I need them for anything, but my wife asked why I didn't buy the reusable kind. The answer is that I had some in the past that were made of plastic and I felt like they were too slick and hard to grip things with. The disposable bamboo kind, on the other hand, seem to grip a lot better. Maybe there's a good reusable substitute that I don't know about. I got a set of stainless steel ones from a local Korean grocery store. 5 pairs for $6 or something like that. They have grooves at the end that help when I am eating something slippery. I've tried a bunch, and have some. But the disposable ones are always the best because they are dry and non slippery. Just buy wooden chopsticks. They're washable. You guys rule the school. Thanks! Does anyone have a go to pumpkin pie recipe they've made and can recommend? I'm going to test out two pie recipes leading up to Thanksgiving and pick the better recipe. It'll be something I bring to a potluck I have with my cousins, so it's gotta be delicious! I should check my Korean market; I rarely use chopsticks, but metal ones should last forever compared to wood.